The amount of sea ice in the Arctic grows and shrinks every year as the seasons change. The largest extent is in late winter, after which it melts throughout the summer. 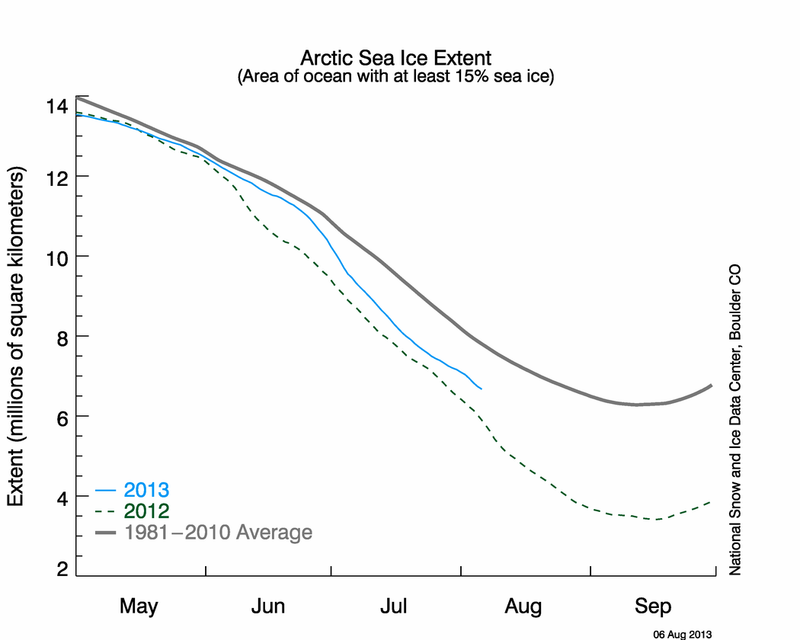 The minimum annual sea ice extent generally occurs in mid-September. This year (2009) it occurred around September 16. As of today (November 11) the sea ice has been growing more slowly than usual and is now at a record minimum for this time of year. The smallest Arctic sea ice extent ever observed was in 2007 but in the past two years it has rebounded. However, there is a long-term decline in September sea ice extent going back at least 30 years, so although this year’s September ice minimum is near that predicted by the 30-year declining trend, it falls well short of the actual September ice minimum in 1979. Early in this year’s melt season (May) a number of sea ice scientists made predictions about the year’s September minimum. They used a variety of methods, ranging from simple extrapolation of the 10-year decline trend to complicated computer models involving existing sea ice and weather conditions, but all of them predicted smaller minimums than were actually observed. The report shows that we still have a lot to learn about predicting inter-annual variations in complex natural phenomena like weather conditions and sea ice extent. Some factors affecting our ability to make predictions include large inter-annual variability in the historical record, limitations in our ability to interpret satellite data from sea ice covered areas (see this report by Barber et al. ), and the long-term decline in ice thickness (and thus ice volume) as thick multi-year ice melts and is replaced by thinner, younger ice. 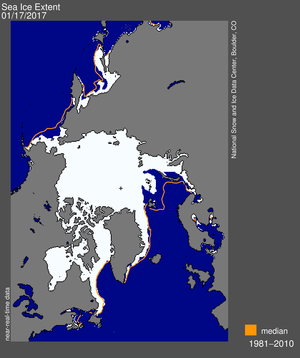 Nevertheless, it is clear that summer sea ice is an endangered environment in the Arctic. I think we should use this information to re-assess our priorities for research in the polar regions, but it is not clear which direction we should take. Should we focus on learning about the biology and ecosystem functions present today in multi-year ice and summer sea ice, as a method of archiving the environment in the literature so that it will continue to live on even after it is gone? Or should we look to the Antarctic as a model for what to expect in the future of the Arctic, focusing our resources on predicting the responses of ecosystems and food webs to the ongoing transition from large summer sea ice extents to small? I’m not yet sure, but we will have to move fast to make these kinds of decisions because nature is not going to wait for us–by the time my generation retires there may not be any summer ice left to study in the Arctic.